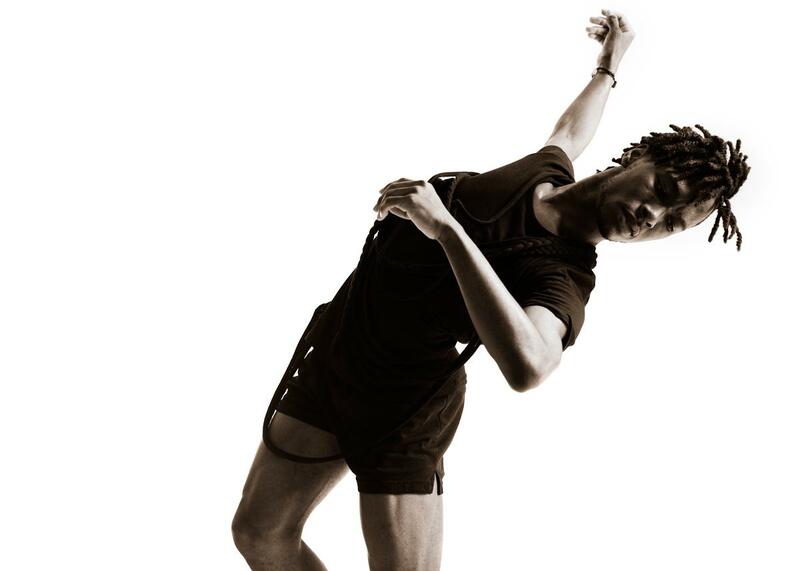 "Dance is the direct connection to your true self"
Uri Eugenio has Antillean blood in his veins, that's why movement, feelings, rhythm and balance come naturally to him. He was born in 1982 on Sint Maarten, nicknamed 'The Friendly Island' - then part of the Dutch Antilles, but since 10 October 2010 an autonomous constituent country of the Kingdom of the Netherlands - but has been living in the Netherlands since 2001. Before he decided on a career as a dancer, table tennis was his first love. His natural talent and his willingness to practice for hours very day soon paid off. "I played table tennis for years on Sint Maarten," Uri explains. "I was pretty good at the game, and by the time I was twelve I was playing at top level in a group of mainly 18-year-old boys and girls. I was selected for the Netherlands Antilles table tennis team at the South American Games in Venezuela in November 1995. I had the talent and determination to reach the Olympic Games and become an international table tennis star - but then things changed. Hurricane Luis caused extensive damage on Sint Maarten in late August and early September 1995 and our sports hall was among the casualties. There was no longer anywhere to play table tennis. Many of my team-mates moved to the Netherlands or the United States, and the lack of top-level completion destroyed my incentive to do my best. By the time I was 14, I had givern up table tennis and was looking around for somewthing else. When I discovered the world of dance at the age of 18, this became my second first love." The transition from table tennis to dance might seem a big jump, but in fact the two disciplines have much in common. Great discipline and hours of training every day are needed to reach the top in both. "Table tennis is like a special form of dance, if you think about it," explains Uri. "You need to develop a kind of rhythm in your movements, a sort of flow, and you need to be supple and fast. But yo do use different muscles when you are playing table tennis: shorter ones, delivering the necessary power in an explosive manner. This is especially true of your hands and feet. You need excellent eye-hand coordination too. All these skills came in very useful later when I was dancing." "I started taking jazz dance classes on Sint Maarten when I was 18. We love dancing in my family. My father is 60 now, but he is still as frisky as a young puppy, and has a great rhythm. We often danced on the veranda at home. My sisters took dance classes too, but I am the only one to make a career of it. I started the dance classes because my classmate Jennifer Halley told me about the musical the West Side Story and that they needed boys (she also danced at school). I thought that was a great idea: I'm always very receptive to new possibilities, so I decided to apply - and once I started, there was no going back. I didn't have to do an audition, but I had to practice for eight months to fit me for the role. I definitely had the feeling that I had to prove myself. My parents were not entirely supportive at that time, especially because I was not earning anything then that would allow me to pay the fees for the classes. But the head of the dance school, Cees van Dolderen, awarded me a kind of scholarship that covered the costs of the dance classes at his school. He could see I hadf talent, and he wanted to give me the chance to develop it." 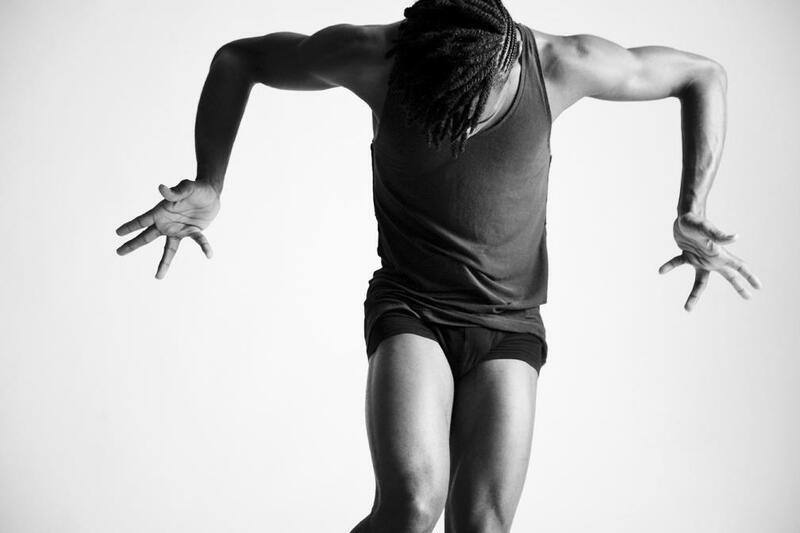 Uri tells about the learning curve he went through on Sint Maarten, working hard at the Motiance Dance School to hone his body to a finely tuned dancing machine. "The American choreographer Susha Hein was one of my teachers at that time; she was an important figure in my dance career. I went to her jazz and music classes, while Almir Bueno taught me classical dance. Susha helped me to improve my dance technique, concentrating mainly on musicality, rhythm and dynamics. How you convey information to another is a crucial aspect of the teaching process. She had a remarkable teaching style: no fuss, and very strict. I had 9 classes a week at that time, dancing with the advanced group, the intermediate and the beginners." "Dancing is an all-embracing physical experience." "My other teacher, Almir Bueno, was a Brazilian. He had been a dancer himself in the past, strong and graceful; it was a pleasure to watch him. I must admit that I consider myself to be strong and graceful too, and I believe it's important to use yor whole body -especially your arms and hands, wrists and fingers - when you are dancing." 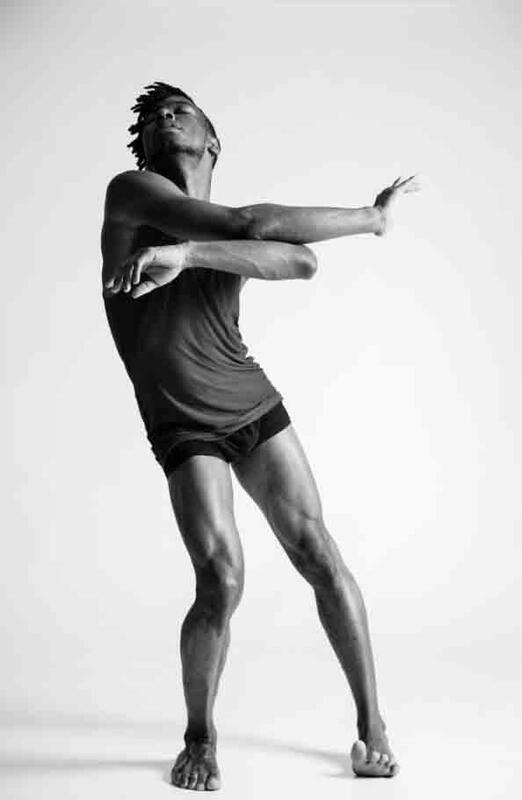 Uri has built artistic circular movements of his arms and hands into his dance. He explains enthusiastically, "My hands express my feelings in a very eloquent way. Not many dancers use hand gestures to the same extent. I want to use my whole body. Dance is an all-embracing physical experience. My arms are very long compared with the rest of my body. They really stand out. When I was at school, my arms often got in the way. My teacher used to say, 'Do something with those arms!' So I paid a great deal of attention to them at that time. Your trunk, your arms and hands are very conspicuous parts of your body, so they are a very important part of the image I am presenting. Your hands are not just stationary appendages on the end of your arms. I always say that your hands and your fingers can breathe, like a living body. Each part of your body is dependent on all the others - your fingers, your wrists, your joints, your elbows, your shoulders. They need to move together fluidly and harmoniously, when you are dancing. You have to use your whole body." "I had to convert my body from a sport machine to a dance machine." "I had to practice 3 or 4 days a week. I developed very fast in this period. It goes without saying that I used the discipline I had built up during my sport training when I was dancing. Susha Hein definitely had an American style of teaching: 'Just do it!' Of course, you had to think about what you were doing, analyse it, but doing it was the masin thing. She taught me that you could achieve any goal you set yourself. Nothing is impossible. She kept on thinking up new routines, and had her own repertoire. I recognise that approach now that I'm a dance teacher myself. I also had to take the time to change my body from one that was suitable for sport to the kind of body you needed for dancing. You use different muscles when you're dancing. I had to do a lot of stretching exercises, and increase the strength and suppleness of my muscles. I exercised a lot at home too: jumps, pirouettes, pliés, ports de bras, all that kind of thing." The above video clip shows a performance of the lyrical jazz duet "We Remain" by Uri Eugenio and Pearl Delchot, directed by Glenn Westphal, at the New Dance Studios in Amsterdam. This duet has also been performed during the Faburazzi fashion event at the Thalia Lounge in Rotterdam in late September, early October 2013. Uri arrived in the Netherlands at the age of 19, and started off studying Romance languages and culture at the University of Groningen, majoring in French. But it was clear by the end of the year that his heart was not in his studies, so he transferred to the Fontys Dance Academy in Tilburg, where he took the 4-year dance course. "I just had this irresistible feeling at a certain point that I needed to be dancing again," says Uri. "Things had not been going so well at the university. I used to to wake up in the morning, thinking 'Oh, lectures again....' But at the Dance Academy in Tilburg I would think how happy I was to be dancing every day. I love all dance syles, and learnt about jazz dance,. modern dance and classical dance among others. I specialised in modern dance in my second year, and studied the dance styles developed by Martha Graham, José Limón and Merce Cunningham. It was all new to me, and I found it enthralling. I had improvisation lessons too. I was hungry to learn, and I still had the feeling, left over from my time in table tennis, that I wanted to be the best. One of my teachers in Tilburg was John Wisman; he taught classical dance, and he continually encouraged me to improve my style. He could see that I had talent. But the emphasised that you could never reach the top without hard work. He made my dance style more dynamic, and taught me: 'If you move big, you can always move bigger than you think.' You have to be able to fill the entire space at your disposal with your whole body, your arms and your legs. There were a lot of guest teachers at the Dance Academy too, and we came into contact with repertory work from various dance companies. I did an internship with the LeineRoebana dance company in my third year. I enjoyed my time in Tilburg, and my dance career has taught me one thing: yo don't dance to become rich, but dance enriches your life. Every move I make when I dance fills me with happiness." Thanks to years of intensive training, Uri can look back at the age of 32 on an impressive dance career in which he has given workshops and master classes and performed for a number of renowned dance companies. 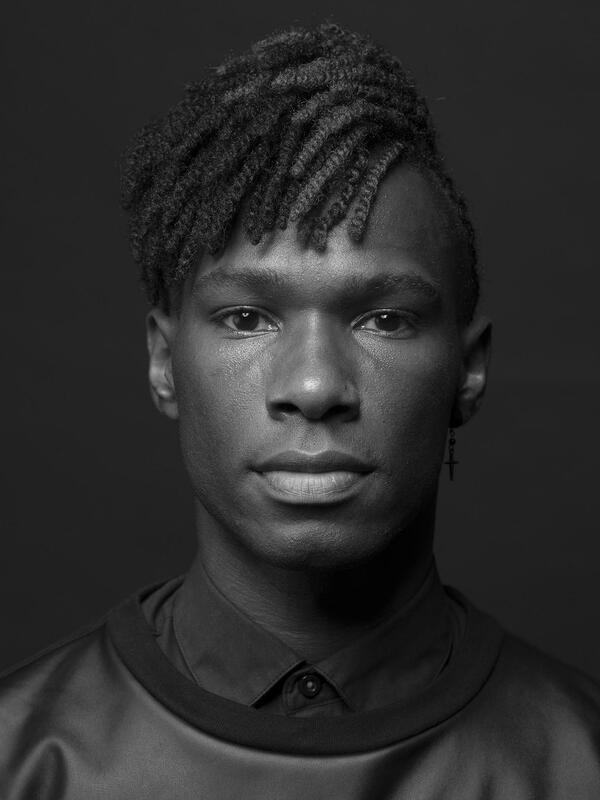 He teaches dance at the Amsterdam School of the Arts, the Amsterdam Dance Centre and a number of dance academies including the Fontys Dance Academy in Tilburg. His performances include Seele, Smell of Bliss and Ghost Track for LeineRoebana. His role in Smell of Bliss won him a nomination for a Silver Swan, for the best dance performance of 2014. He has also worked for the choreographers David Middendorp and Nanine Linning and appeared in a number of TV shows, including 'Dancing Queen' and 'So You Think You Can Dance'. "I have always had big dreams, and set myself challenging objectives," Uri admits. "I wanted to use my capabilities to the full. My teachers told me that I am talented, but that I will always need to work hard to cherish and develop my talent. Discipline is very important in this job." 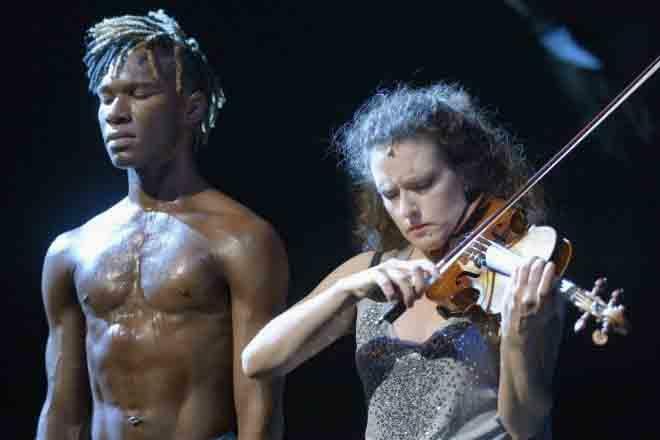 Uri Eugenio with the violinist Liza Ferschtman in one of the final scenes of LeineRoebana's production of Smell of Bliss. ©Deen van der Meer. Uri Eugenio was an intern`at Leine Roebana for about 8 months in 2005, and has performed for them occasionally since then. He has worked with this dance company on a more permanent basis since 2010. He sees his work with LeineRoebana as a tremendous challenge. Dancing with them has done a lot to advance his career - as has his contacts with a number of renowned choreographers. "I enjoy dancing with LeineRoebana," he says. "They help me to advance from the physical to the emotional level. That feels more like real dancing to me, and LeineRoebana helps me to achieve it. We continue to explore what movements mean to us, and how we can put more into them. This kind of analysis helps the company's dance language to evolve, and each individual dancer's capabilities evolve in the process. We are continually challenged, and that's very important for me because that's the way I can continue to grow." "I took part in a big opera LeineRoebana put on in Ludwigsburg in Germany. That was my first professional performance, in 2005, on a huge stage. It's always a great adventure to dance for LeineRoebana. You are always challenged, both mentally and physically. It's as if you experience everything afresh each day. You're dancing as if there is no tomorrow: that's an experience that means a lot to me." Uri Eugenio is i his element with LeineRoebana. He had an attractive role from 11 to 20 December 2014 in Ghost Track, an exciting fusion of Western and Indonesian dance, with Indonesian music. He will also have a prominent role in Snow in June, a combined production of three choreographers with a score by the Oscar winner Tan Dun and live music by cellist Jakob Koranyi, percussionist Tatiana Koleva and her percussion group, which premieres on Friday 27 March 2015. Uri has become one of the stars who determine the face of LeineRoebana. The dance company recently held a benefit performance to raise the money needed to fund a permanent contract for him. 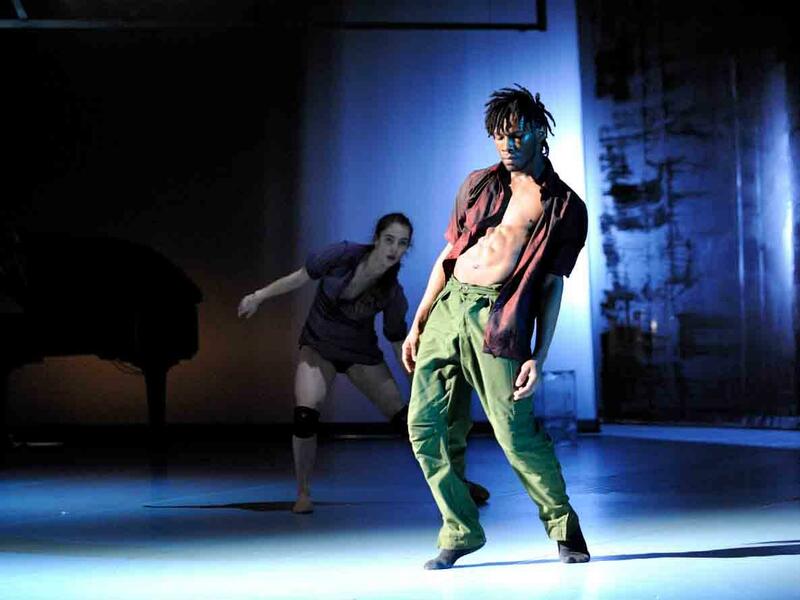 The photo above shows Uri dancing with Heather Ware in a performance of GAP, which LeineRoebana staged in the period 2011- 2013. ©Deen van der Meer. This video clip shows an extract from PURE, directed by Henry O'tawiah. The director specially invited Uri to dance in this piece, which makes wide use of improvisation.